On my old download page I had a set of lighting presets for download. I have had a few requests for these and decided to update them to the newer GI and place them here for download. 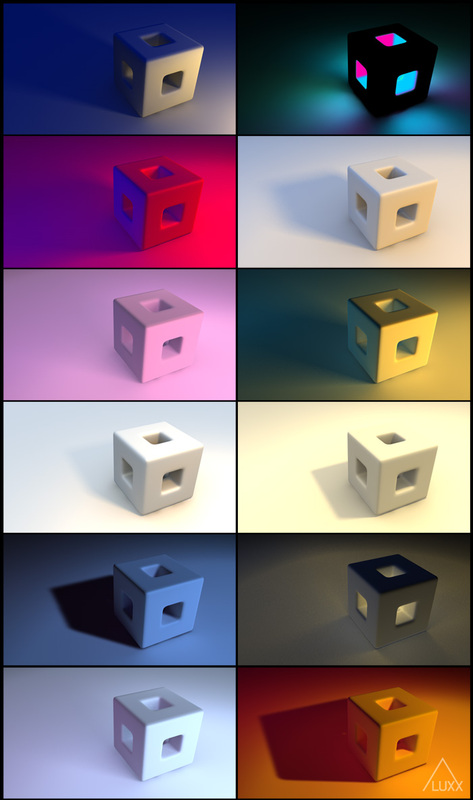 You do need Cinema4D r11.5 with the Advanced Render to use these, they all use Global Illumination. The GI settings are set low for the presets, so you may want to increase this when you use them on your own projects. Here’s a preview of each of the included presets. I hope you find them useful. This is valuable stuff! Thanks a lot, Tim. Amazing! Thank you so much for this! New C4D people like me are always needing stuff like this! I’m looking forward to whatever else you have! Nice to see you are using WordPress too! Makes posts/content easy to manage. Nice! Thank you, will help a lot in future projects. Thanks, Tim. Anything you do is very helpful, especially the killer tutorials about AE and C4D. Great stuff! Heya Tim. Great stuff! Thank you very much. thank you tim, what would be my life without you? Thanks for being so generous and sharing these Tim. They are invaluable!! hey man! thanks for the presets, they look awesome!, but i dont know hot to use them u.u , i will apreciatte any help, thanks! Thanks Tim, they look awesome! Thanks Tim,You have got a different level of mograph and cinema 4d training.Awesome. Thanks Tim, the presets are excellent! It isn’t a plugin, it is a set of lighting setups, just open the C4D files and then use them in your scenes. thanks for sharing Tim, very useful. Hey man, can´t open these in my C4d… im using version 11.514 64-bit. is there any way to import these? ima total noob. You can’t use IES files in Cinema4D unfortunately. Perhaps try downloading the file again? Dissecting these has answered so many questions. Thanks for the generosity! Wish u the best !!! Interesting to see that you did use a 1.5 Gamma setting. How come? @illd You mean the gamma parameter in the GI settings, yeah? This is gamma for the GI only and it is handy way to boost the amount of light GI produces. This doesn’t affect the gamma of the image itself. Using it with GI is a way of faking more bounce light (IMO). Changing the Gamma for the GI gives much better results – Thx for explaining Tim!